Renowned is for anyone who wants to unlock the power in their network by leveraging the online world. If you have a sale to make, a business to build, a promotion to get, a message to share or a movement to start, this book will help you amplify and accelerate the work you do. 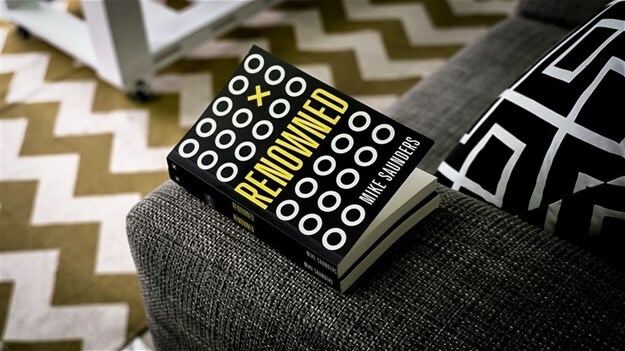 Mike Saunders, entrepreneur, author, CEO and International Speaker, has released his second book – Renowned, A guide to building a powerful personal brand online. "I ended the call, happy for another consulting engagement, and thinking that the whole thing must have been a bit of a fluke. "A few months later, I received another surprising phone call. This time, from the Presidency of South Africa. They said they had done their research and decided that I was the most knowledgeable expert in the field they needed assistance with, and would like to book some time with me. "Later that year, after starting my digital agency, DigitLab, I received the third surprising phone call. It was from a bigger digital agency. They told me they’d seen my work, been impressed by it, and wanted me to consider opening their Durban office. I ended up turning down that opportunity simply because I realised how much I love working for myself and didn’t want to report to anyone else in the future. "All of this happened within the first year of being on my own. I went from a nobody in my industry, to a somebody in less than 12 months. "It was not because I was smarter than my competitors, or because I had money to spend on public relations - at this point I was struggling to pay my salary, let alone a public relations manager. As best as I could figure out, the difference lay in my relentless pursuit to build a personal brand online." Mike has spent the last 12 months detailing his experiences in building a powerful online personal brand in this book. It is packed with strategic foundations, content development guidelines and a valuable toolkit of the best apps and web-tools he has found to build his brand online. Mike has a passion for education, particularly teaching people how to make the most of technology to improve their life and business. To this end, through his company The DigitLab Academy, Mike has partnered with Damelin Online to bring this material to people in an online training environment. “At Damelin Online we found a partner who can help us influence the education industry into Africa and beyond,” says Mike Saunders. Mike’s book Renowned is now available for purchase on Amazon and the Online Personal Branding course opened for registration as of 4 March 2019. According to Mike, “technology unlocks our future and is a fundamental driver of our success.” Ultimately, Mike believes technology innovates a new future, accelerates growth potential and scales business. Mike’s belief in technology and love of people is what drove him to start one of South Africa’s premier digital marketing agencies, DigitLab. Through his consulting business, Brave Narrative, Mike mentors’ businesses, offers guidance for young entrepreneurs and provides support for entrepreneurship in South Africa. In 2016, Mike released his first book The Five Year Mark. Created to inspire, it imparts the lessons Mike has learnt while establishing his businesses. It is also a clear and practical template for entrepreneurs looking for success. Mike’s work as an international keynote speaker means he has had the privilege of working with some of the world’s most prestigious organisations in the world including Vodafone, Beiersdorf, IBM, Toyota, KPMG,and Norton Rose.